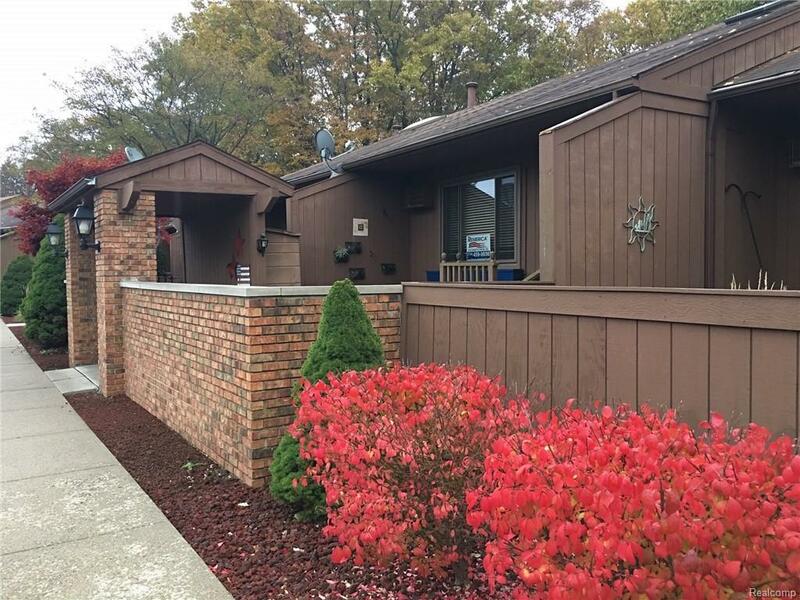 This is your opportunity to be apart of this great South Lyon 55+ Adult Condo Community!Welcome home to your 2 bedroom 2 full bath walk-out ranch that is ready to move right in.Many rooms and closets in the home have fantastic built in shelving offering tons of storage and a chance to display books or collectibles. All appliances are to stay to include an additional fridge and stove in the basement as well as 3 mounted TV's. Enjoy the clubhouse and pool that are within walking distance from the deck.The lower level Florida Room is the perfect space where you can spend hours enjoying the wooded backyard or watching your favorite TV show.The association fee includes water, ground maintenance, roof, siding, snow removal and replacement of water heater and boiler when needed. Home has Wallside Windows throughout with lifetime warranty.Colonial Acres has fun activities to attend each month.Seller is very motivated so please call agent today to make a deal!Offering $ 2,000 carpet allowance.